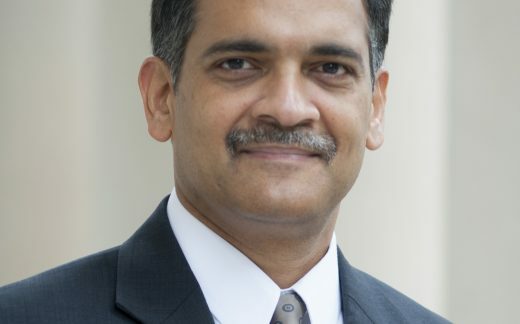 Suresh Garimella is Purdue University’s inaugural executive vice president for research and partnerships and the Goodson Distinguished Professor of Mechanical Engineering. He also continues to direct the National Science Foundation Cooling Technologies Research Center, which he founded in 1999.
interdisciplinary complex for grand-challenge research. He also is responsible for Purdue’s international programs and its global and corporate partnerships endeavors. Under his leadership, the University has experienced consecutive record years in research funding, established significant new partnerships around the world, and established two new life sciences institutes on integrative neuroscience and on inflammation, immunology and infectious disease. The co-author of over 525 widely cited archival publications and 13 patents, Garimella has supervised over 90 graduate students, 25 of whom are now faculty members in prestigious universities. He has served as a Jefferson Science Fellow at the U.S. Department of State and as a senior fellow of the State Department’s Energy and Climate Partnership of the Americas (ECPA). Garimella serves in editorial roles with leading energy-related journals. He is a fellow of the National Academy of Inventors, the American Association for the Advancement of Science (AAAS), and has received numerous awards for education and research. Garimella received his Ph.D. from the University of California at Berkeley, an M.S. from The Ohio State University, and a bachelor’s degree from the Indian Institute of Technology Madras.